The exhibition features a selection of new and older works relating in part to two walks Fulton made around Mýrdalsjökull glacier in southern Iceland (June 24th – July 7th, 2008 and February 28th – March 6th, 2013). The show includes wall paintings, photographs, prints, and wooden wall objects. Hamish Fulton is by his own definition, a “walking artist” – creating his work from the emotional and physical experiences produced by specific walks. Guided by a predetermined set of rules or an idea (often involving numerical relations), Fulton’s walks follow a system or structure while still allowing for chance and the unknown. 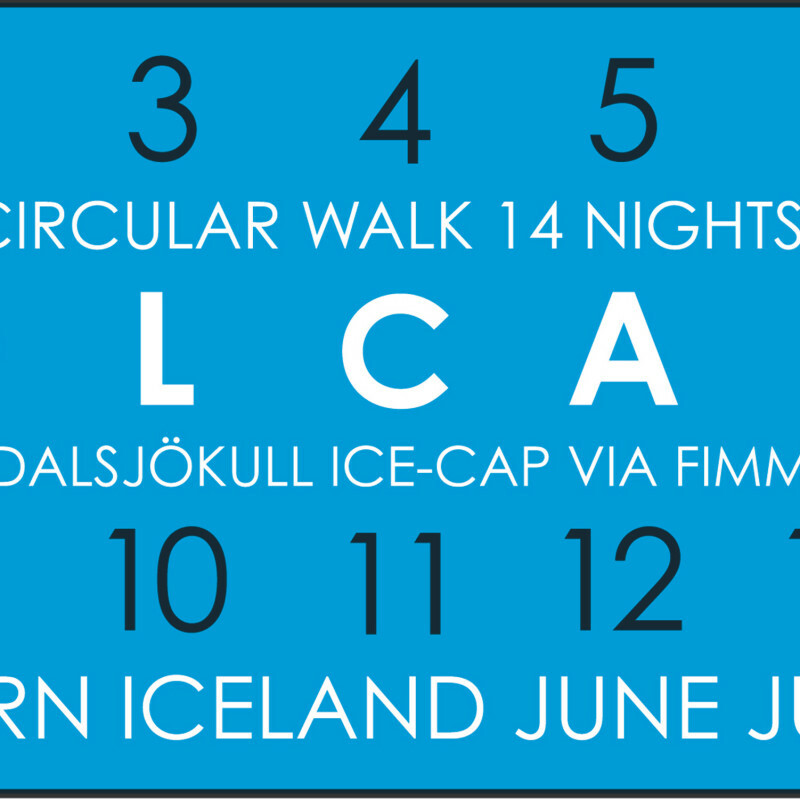 Repetition, a significant dynamic in Fulton’s practice, can be seen in repeat walks such as the ones he undertook in Iceland. However, although both walks in the region of Mýrdalsjökull were intended to last 14 days and 14 nights, a storm en route prompted Fulton to change the second walk to 7 days – perservering in the severe conditions in order to maintain this form. Perhaps the single most important medium for Fulton is text. As he explains: “The text is here but the walks are not. A (materialised) artwork cannot re-present the experience of a walk.” Informed by the ethereal Japanese poetic style Haiku, each of the concise text-works in the exhibition relate to particular walks – each walk’s “structure” echoed in the number of words and letters used. Hamish Fulton (b. 1946) has since 1967 made walks around Europe, The United States, Canada, South America and Asia where he summited Mount Everest in 2009. Deeply concerned with socio-political issues such as China’s occupation of Tibet and global warming, much of his work is done as a direct response to these situations, a recent example being, SLOWALK IN SUPPORT OF AIWEIWEI, at Tate Modern´s Turbine Hall (2011).